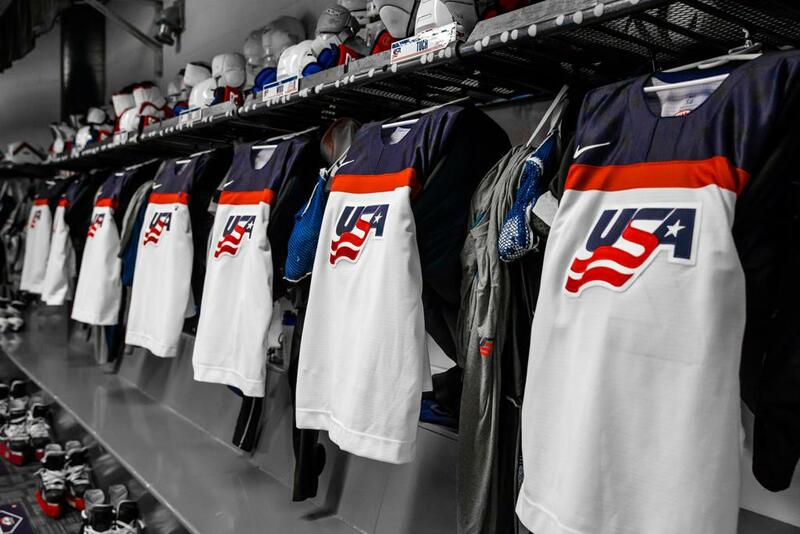 The U.S. National Junior Team (3-0-1-0) faces the Czech Republic (1-1-0-2) tonight in the quarterfinal round of the 2019 IIHF World Junior Championship. Tonight's game, which will be televised live on NHL Network, is set for 5 p.m. local time (8 p.m. ET). This is the sixth time the U.S. is meeting the Czechs in quarterfinal play, its most meetings of any nation. In those tilts, the U.S. holds a 4-1 advantage and is 6-3 against the Czechs in playoff round meetings. All-time, the U.S. is 12-1-1-7-1 (W-OTW-OTL-L-T) against the Czechs. 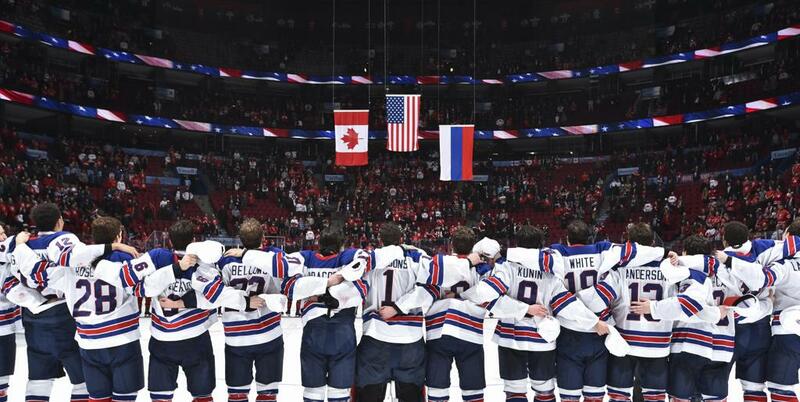 Last year, the two teams met in the bronze-medal game where the U.S. skated to a 9-3 victory on home ice at the KeyBank Center in Buffalo, New York. The U.S. and the Czech Republic have become familiar playoff foes in International Ice Hockey Federation play as a whole. Since 2015, the two teams have met in nine playoff round tilts across the IIHF Under-18 Men's World Championship, IIHF World Junior Championship, IIHF Men's World Championship and the 2018 Olympic Winter Games. The U.S. holds a 7-1-1-0 (W-OTW-OTL-L) record against the Czechs in that span. Five players on the United States and eight players on the Czech Republic skated in last year's bronze-medal match, a convincing 9-3 U.S. victory. Of the U.S., Ryan Poehling (Lakeville, Minn.), Quinn Hughes (Orlando, Fla.), Josh Norris (Oxford, Mich.) and Dylan Samberg (Hermantown, Minn.) all had a point in the win. The U.S. ranks among the top-three in six statistics. Chief among them is Team USA's tournament-best special teams, as its powerplay is performing at a 35.3% success rate while its penalty kill has successfully defended all 10 of its tournament-low penalties. Additionally, the team's 168 shots lead all teams while its 88 shots allowed is the second-lowest of any team. The U.S. is also one of two teams (Russia) to score a shorthanded tally. Ryan Poehling (Lakeville, Minn./St. Cloud State University) leads the tournament in scoring with eight points while his five goals is tied for the most among all skaters. Jason Robertson (Northville, Mich./Niagara IceDogs) has a tournament-high five assists and sits seven in points with six, one above Joel Farabee (Cicero, N.Y./Boston University) who has five points (3-2). Sasha Chmelevski (Northville, Mich./Ottawa 67's) ranks fifth in faceoff percentage with 68% while alternate captain Josh Norris (Oxford, Mich./University of Michigan) is eighth with 61.76%. Additionally, captain Mikey Anderson (Roseville, Minn./University of Minnesota Duluth) and his three points (2-1) is seven among blueliners while Cayden Primeau (Voorhees, N.J./Northeastern University) is fifth in save percentage (.927) and goals against average (1.50).